You probably know what to expect from the major printer brands and companies, and it is fair to say that the Oki brand name is a popular one among businesses. This is because Oki is fully committed to offering value for money and you’ll find that the Oki C832dn range provides a number of features that help you to keep costs down without compromising too much on the quality of output. The Oki C832dn provides a maximum resolution of 600 x 1200 dpi. Twenty-three prints per minute is possible, which should be more than enough for most business users, and is useful if you are working to a tight deadline. When it comes to finding suitable ink cartridges for the Oki C832dn range, Cartridge Save has everything you will need. As with the majority of Oki brands, you will find that the Oki C832dn offers tremendous value for money. That is something of benefit and interest to most firms, and it is good to see a reliable print option that provides an affordable service without compromising on quality of output. 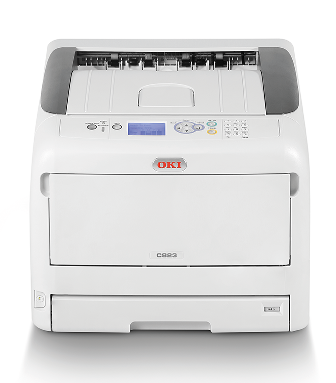 When you have a lot of print work to get through, you’ll find that the Oki C832dn is a reliable and capable addition to the office. While the value for money service of the Oki C832dn printer makes it a great option, there will be some firms who need more from a printer. This is not a printer that delivers the highest standard of prints, nor is it a machine that will allow you to zip through work. If you have very specific requirements of your office printer, the Oki C832dn may not be for you, however, most users will find the Oki C832dn is a useful addition to the workplace.